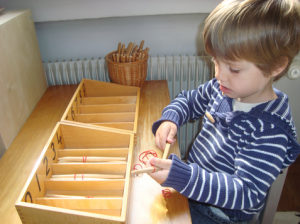 Dr. Montessori’s educational philosophy and method evolved from her belief that children, with their different form of intelligence from adults, can learn from an early age. Montessori named this growth stage “the absorbent mind”, where children learn everything from an unconscious to conscious state of mind. Adults can assist the growth by providing them with ample opportunities for work, play, pleasure and freedom to explore. Montessori advocated that education should be for independence, liberty, and empowerment of the child. She referred to her approach of education as an “aid to life” that focuses on the development of the human personality, not solely the acquisition of information. Montessori education seeks to create a link between school-learning and society – encouraging initiative and independent learning and the development of self-discipline and responsible social behaviour. “The education of the small child aims to prepare him for life, not for school,” as Montessori said. 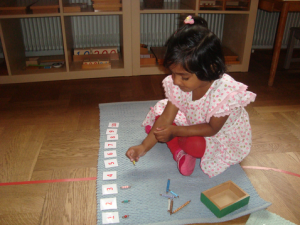 The use of concrete materials specially and beautifully designed to teach abstract concepts and operations is fundamental to the Montessori teaching method. 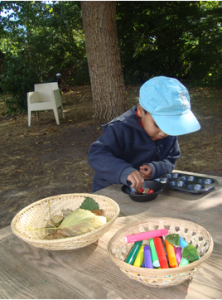 As the teacher guides and monitors the children’s choice of materials to work with, the children can grasp abstract concepts and operations at their ease and with a high level of interest. Children are inherently good – if allowed to develop freely, they feel connected to everything and are naturally caring towards each other and the world around them. Certain periods of particular sensitivity occur while children are developing. During these periods children can learn the activity that they are focused on with ease and at a particularly intense rate. These periods include a sensitive period for order, refinement of the senses, language acquisition, walking and movement, small objects and involvement in social life. Order consists in recognizing the place for each object in relation to its environment and in remembering where each thing should be. 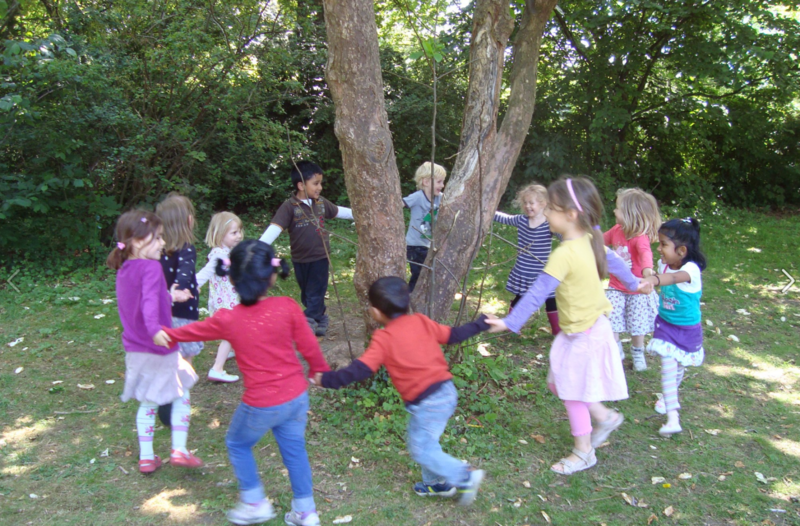 Order in the environment gives children the safety to explore and develop. A true foundation of understanding is developed through the whole body – touch, manipulation, hearing, speaking and observation. When children are allowed to work in freedom they display love and care towards others. Children literally absorb the world around them. True discipline and harmony comes from within. Maria Montessori called teachers Directress – their role is to sensitively guide, rather than control, the children’s activities. She asked that they be “more psychologists than teachers” and considered that success lies in the ongoing nature of each teacher’s personal development as well as on the sensitivity of observations of individual children.